President Trump's Chief Economic Advisor Gary Cohn is leaving the White House. The decision comes nearly a week after Trump announced he will impose tariffs on imported steel and aluminum, something Cohn vehemently opposes. 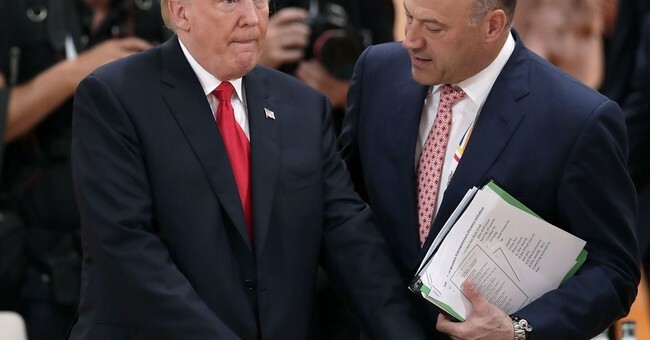 “Gary has been my chief economic adviser and did a superb job in driving our agenda, helping to deliver historic tax cuts and reforms and unleashing the American economy once again.. He is a rare talent, and I thank him for his dedicated service to the American people,” President Trump told the New York Times, which first broke the story, Tuesday afternoon. The White House press office also released a statement from Cohn and Chief of Staff General John Kelly. “It has been an honor to serve my country and enact pro-growth economic policies to benefit the American people, in particular the passage of historic tax reform. I am grateful to the President for giving me this opportunity and wish him and the Administration great success in the future,” Cohn said. “Gary has served his country with great distinction, dedicating his skill and leadership to grow the U.S. economy and pass historic tax reform. I will miss having him as a partner in the White House, but he departs having made a real impact in the lives of the American people,” Kelly said. Cohn was a key player in getting tax reform through Capitol Hill in December. His scheduled departure is not immediate and he is expected to stay in his position over the next two-three weeks. This is a breaking story, stay tuned for developments.